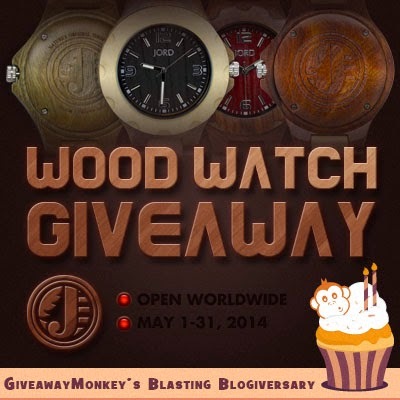 Welcome to JORD Wood Watch Giveaway ! JORD Wood Watches offers stunning time pieces made out of natural wood, embracing its natural color and unique beauty making every watch both exquisite and distinctive. JORD Wood Watches has 6 series of styles, in different colors to pick from. 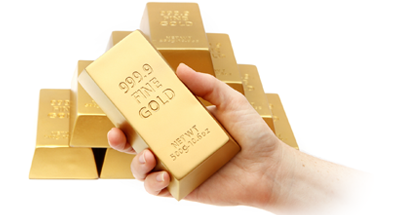 There’s sure to be something that will suit both men & women of any age! Wood Watch is a totally different watch from the trending metal watches and it looks cool too. How WOOD you like to win one JORD watch? 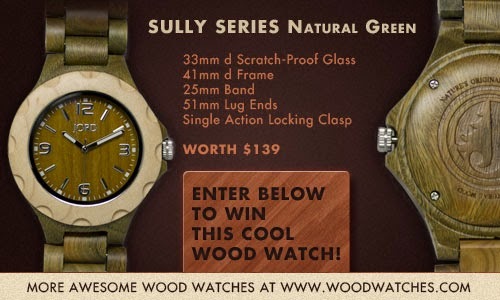 One lucky reader will get a Sully Series – Natural Green Wood Watch. Entry is easy and done through the Rafflecopter form below. Giveaway runs from May 1 to May 31, 2014 and is open worldwide!